Comstar Holding provides services to companies and individuals. 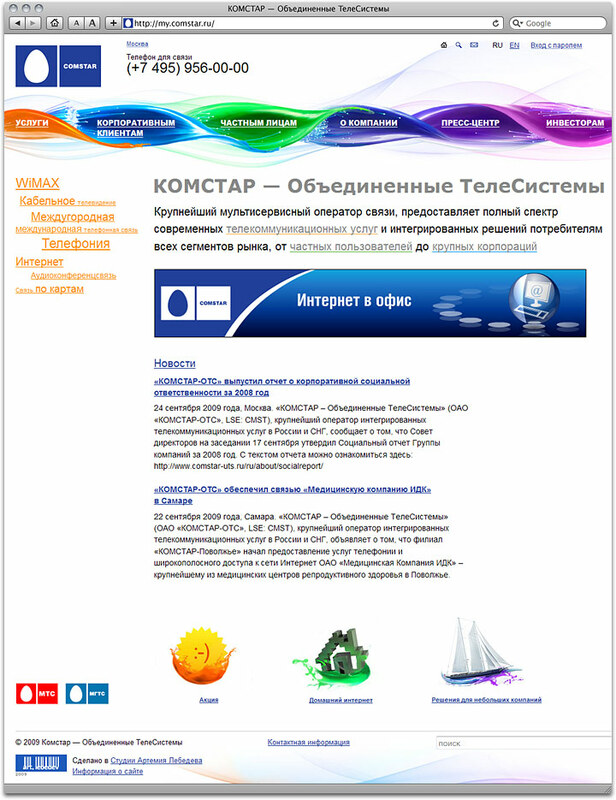 Among their businesses are Stream, a well-established cable provider, and MGTS, Moscow City Telephone Network. Menus and banners are designed to illustrate high speed and a variety of services.